Depicts: The PanCam prototype during tests in Mars-like conditions. 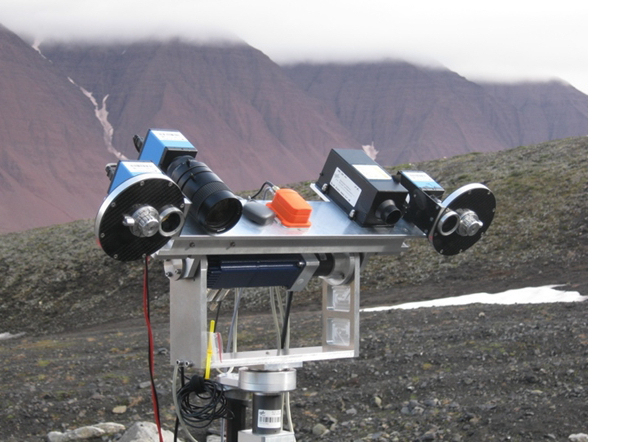 A series of tests for PanCam have been carried out in simulated Martian conditions (AMASE expeditions) using a prototype of the instrument. 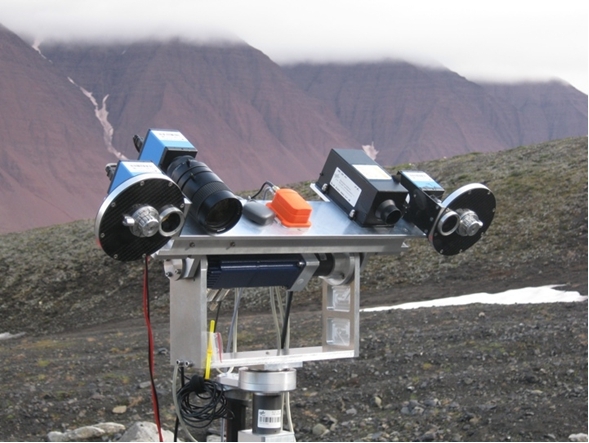 This photograph shows the PanCam simulator during the AMASE expedition of 2009 in Norway.